This sunny state is a great escape for the summertime with the ocean by its side! The most populous cities to name a few are Hartford, Bridgeport, and New Haven. 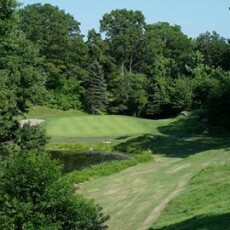 Connecticut has 89 public golf courses and 81 private clubs. The Buick Championship previously known as the Greater Hartford Open. Greenwich, Connecticut; Griffith E. Harris Golf Course. Dave D’Andrea manages the courses as the operation manager and the Golf professional is Joseph Felder. Yale University Golf Course is rated #1 in America with golf course architects and champion golfers they’ve created a masterpieces! With a combination of lakes, hills, rocks, and bunkers getting deeper and deeper Yale University Golf Course makes other golf courses look inferior.